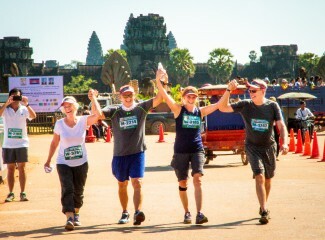 For their fourth year running, Team TCRP returned to the ancient city of Angkor with a team of 20 Catalysts in support of Sala Baï Hotel & Restaurant School. 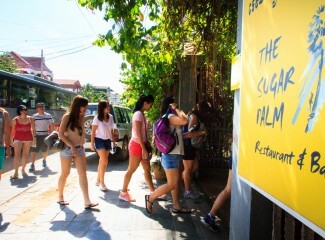 Our adventure started on a sunny Saturday morning in a quaint hotel called the Victoria Angkor Spa & Resort. 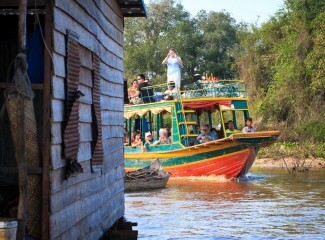 Situated 6 km from Angkor Wat. Like clockwork, our TCRP organizer, TingJun Zhang, sprang into action to give us a brief of the next few days. After a round of individual introductions, it quickly dawned on me that there was collective passion and strong commitment amongst the Catalysts on why we are all here. 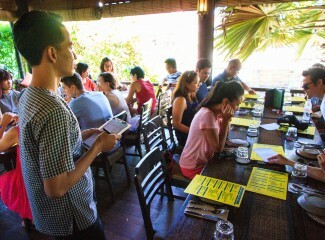 Lunch was at Sugar Palm, a large wooden Khmer styled house-restaurant which boasted a delectable variety of Traditional Khmer food. This was also the first of many times that we got to meet and interact with Sala Bai graduates – who work in the top hospitality establishments in Siem Reap. 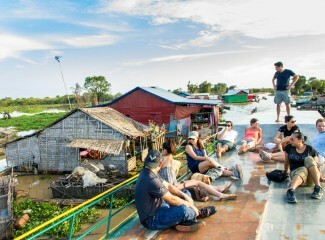 The highlight of the day was our boat ride on Tonle Sap “The Great Lake”. 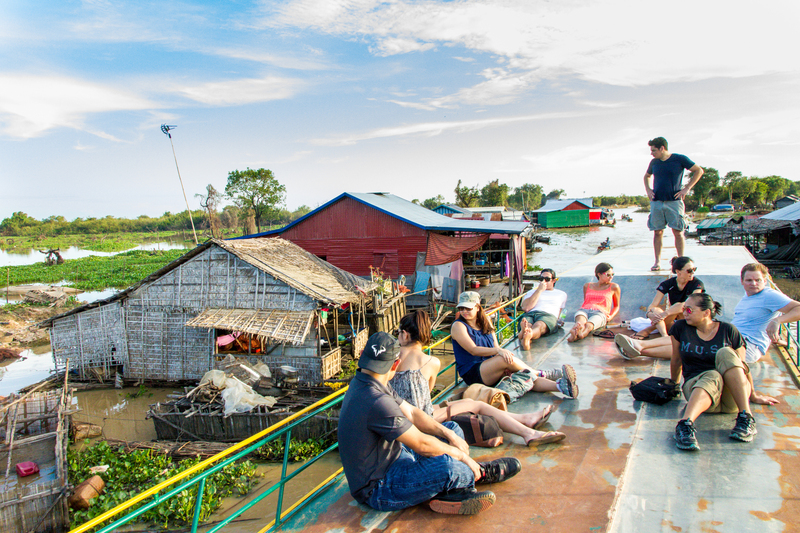 Tonle Sap is home to 1.2 million people, also known as sea gypsy (many have never lived on land and were born on the floating homes on the lake itself). Chan, our tour guide, shared his personal story of overcoming poverty and how his life changed when he got into Sala Bai. As a graduate of their 4th year of operations, he has now progressed on to be a tour guide for both English and German speaking tourists. He aspires to open a small travel agency one day. 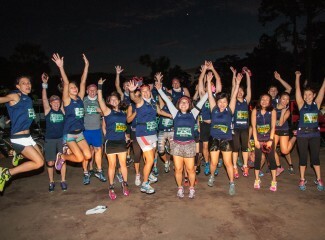 The next day, the air was abuzz with excitement at 5am as we boarded the bus, ready to run! In contrast, the seemingly endless line of buses, cars and tuk-tuks inched calmly along the entrance of the temple road, each trying to get their eager runners to the starting area. The lights displayed by the vehicles stood out like magical colored dust in the distance. Parking some 200 meters to the race area, we funneled out and made our way to the starting zone. 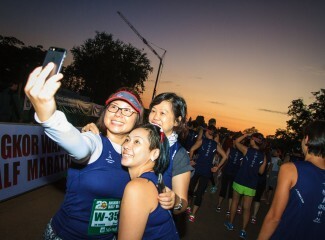 The atmosphere was actually more festive than competitive, local agencies and schools were also part of the 10km leg. Local music and drums played before the run started. 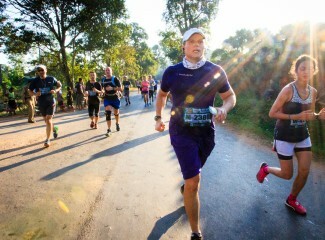 Majority of the 21km runners were international from my short glimpse of those that joined us for the last 5 km leg. The run was stunning, calm and serene. The view we were privy to look like something captured in a fairy tale book. 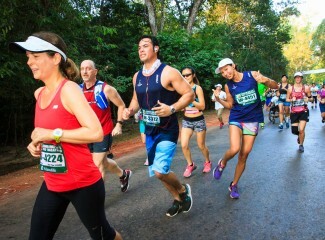 Both the 10km and 21km runners started off in front of the Angkor Wat Temple, both in opposite direction but joining up in the last 5km to finish off at the start line. After a restful afternoon, we were then treated to a gourmet dinner at a café called Mie. It was a sweet evening for those that completed the run in the timing they set out. There was a feeling of accomplishment in the air. On the last day, at around 9am, the management of Sala Bai, greeted us at the hotel lobby. 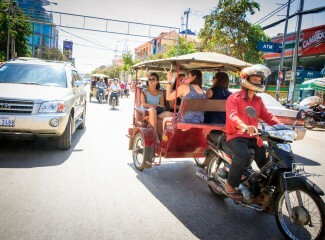 A fun ride on tuk-tuks took us to the shining new campus of Sala Bai. 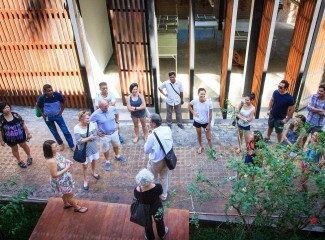 We were divided into groups to explain the structure and functional areas of the school. Within the newly laid grass compound stood two lovely villas standing in the back area of the land, it was truly impressive that this organization through their perseverance over the last 14 years got to where they were. Our trip came to a close with a sumptuous lunch at the old Sala Bai campus. We were introduced to a former student who is now a teacher at the school. She shared that she was extremely grateful for the chance Sala Bai gave her to change her life, and wanted to “give back” to the next generation of students by imparting the skills and experience she gained working at 5 star hotels. There was not a dry eye in the house at the end of her speech. If it wasn’t for the organization of TCRP and the simple notion of giving back to the community, I wouldn’t have had this meaningful experience. It was a privilege to meet a group of kindred spirits who shared a passion for social responsibility. Through the various fund raising activities and marathon training sessions, we had a lot of fun and supported each other in our quest to make a difference for the Sala Bai students. Through the experience, I learnt how simple it can be to contribute to changing the course of another person’s life and if you can even be a small part of it, wouldn’t you want to? "If it wasn’t for the organization of TCRP and the simple notion of giving back to the community, I wouldn’t have had this meaningful experience. It was a privilege to meet a group of kindred spirits who shared a passion for social responsibility. Through the various fund raising activities and marathon training sessions, we had a lot of fun and supported each other in our quest to make a difference for the Sala Bai students. "